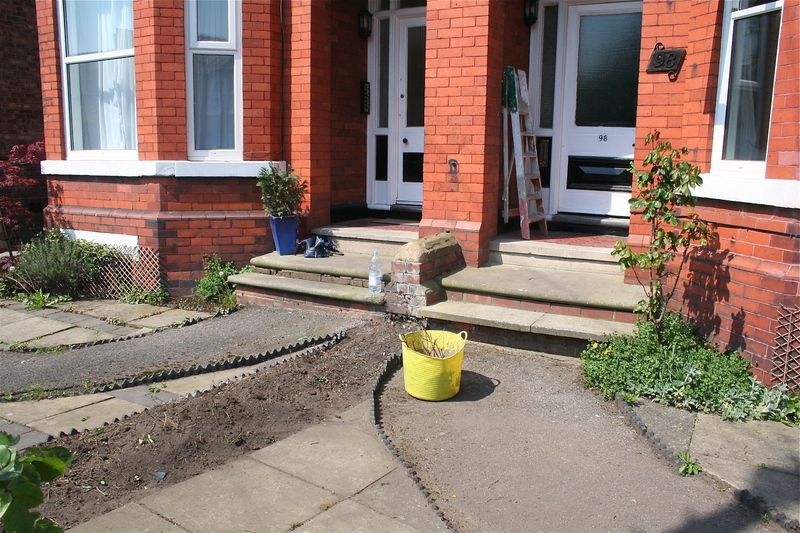 It’s no good tarting up the gardens, planting all sorts of edible luciousness then ignoring the front doors, doing half a job, as it were. We’ve transformed the space that my tenants share over the last few years and it’s now really well established, but was putting the doors to shame. They don’t look too bad in the picture above but the paint job was awful up close, with prison glass windows, urgh. Finally there was some time and the meticulous Krzysztof free to start working on them. 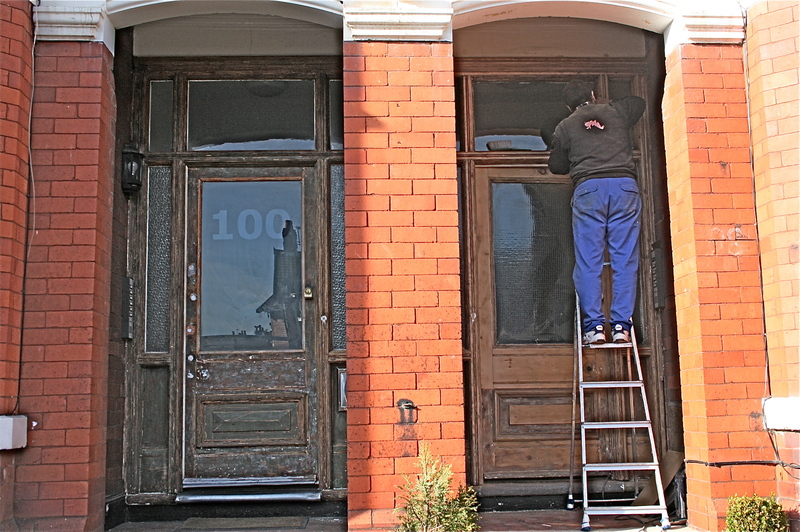 Sometimes things get a little lost in translation and I’d originally intended him to sand the doors before they were repainted but when I got back after a day at other jobs, he’d gone a little overboard on the old sanding. In fact he’d used a heat gun. Ah. Bare wood and very rough, but my brain started to tick and they all looked a bit scared cause they know that means hard work! 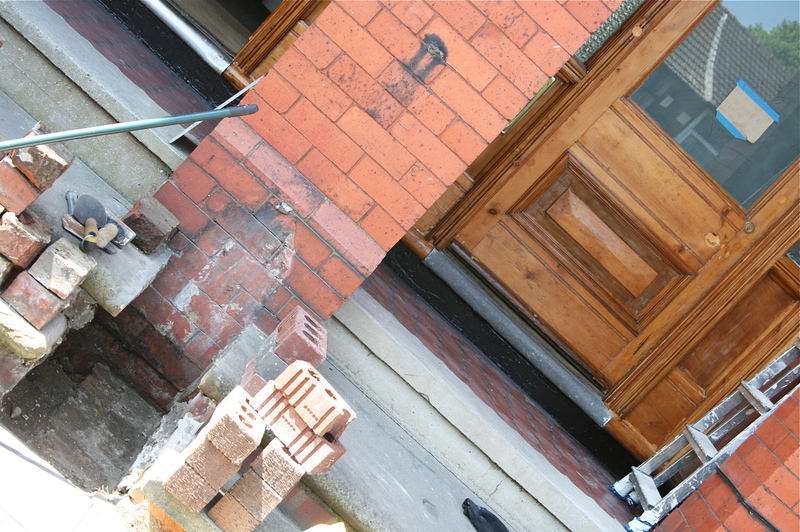 The doors were starting to look lovely, see below, but the wood filler used to patch up all the holes and missing chunks was a bit wishy washy and not so glam…. Some wood dye was in order and I plumped for an English light oak to complement the oak doors inside the building and keep the entrance bright whilst evening out the patchwork effect. It’s easy to apply using a good brush and I prefer to use dye rather than stain to colour timber, it soaks in so you doesn’t get the problems of fading and chipping. Then I applied two coats of a good quality exterior, clear, satin wood varnish. 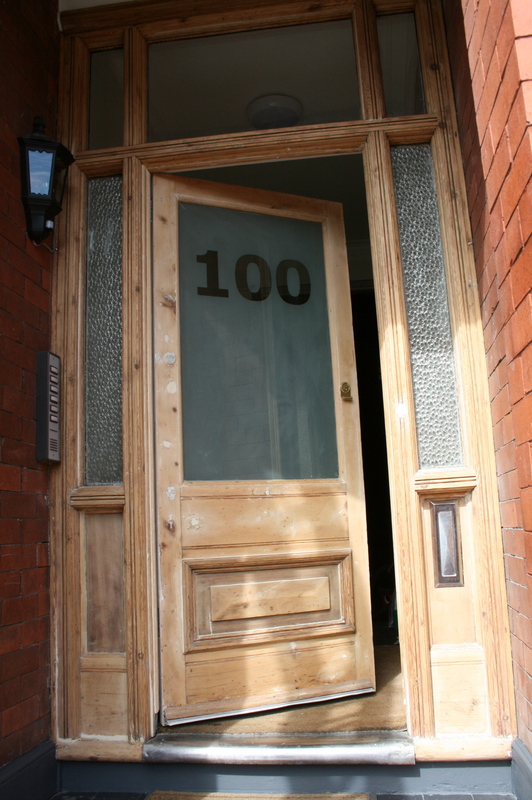 Utterly delighted with the finished doors and though I wouldn’t necessarily choose this style for my dream home, their warmth adds natural character to two quite austere looking Victorian buildings. 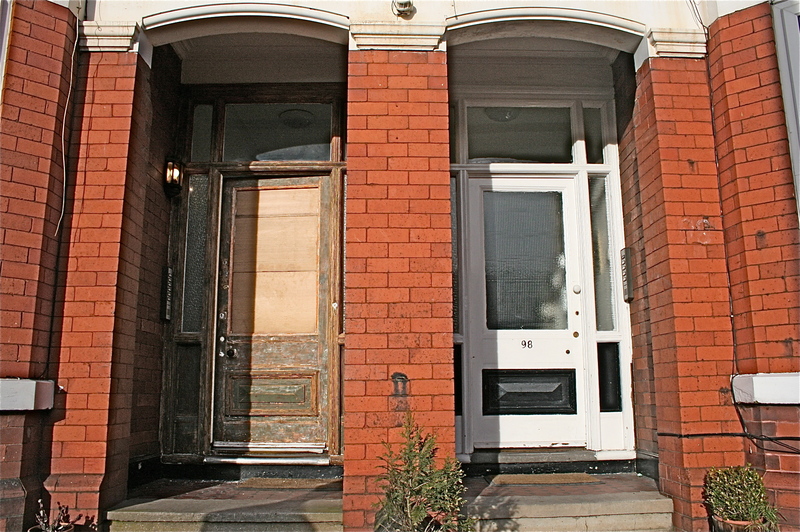 Of course, doing the front doors then meant the shoddy wall between the steps looked rubbish but that’s a WHOLE other blog post as out it came…..
postaday2011, Sian Astley Moregeous Interior Design Manchester, stripping Victorian timber front doors, wood dye or wood stain?